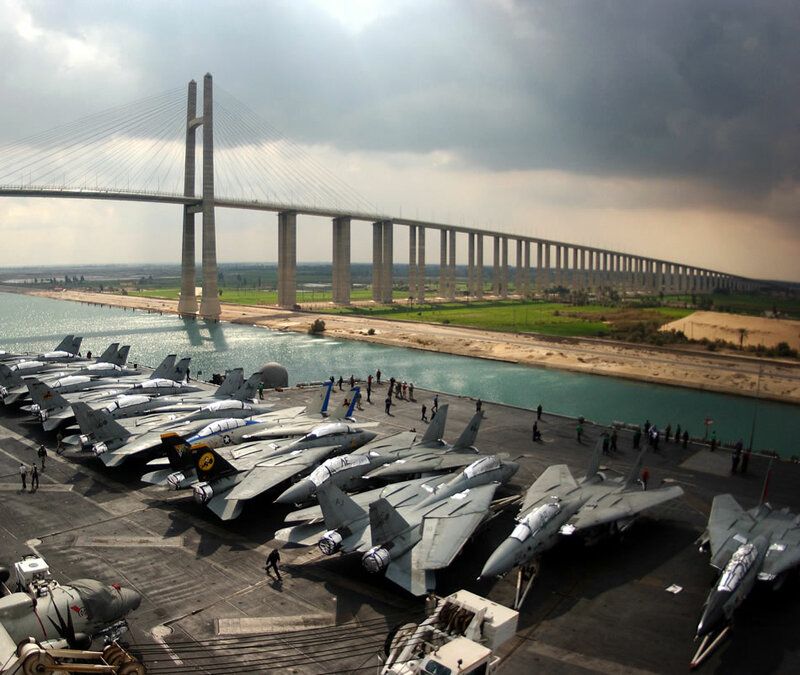 02/15/06 - USS Theodore Roosevelt (CVN 71) passes under the Friendship Bridge during the ship's transit through the Suez Canal Feb. 15, 2006. The nuclear-powered aircraft carrier is currently under way on a regularly scheduled deployment supporting maritime security operations. DoD photo by Photographer's Mate Airman Apprentice Nathan Laird, U.S. Navy.